IT VISIBLY REDUCES THE APPEARANCE OF REDNESS! Bye Bye Redness™ is your colour-correcting skin calming cream that starts its life as skincare—all the while delivering long-wearing, colour-correcting full coverage. Rich in anti-aging peptides, colloidal oatmeal, hydrolysed collagen, aloe and avocado, it helps camouflage any red-toned skin discolorations including rosacea, broken capillaries, blemishes, skin irritations, sun damage, scars, age spots and more. This soothing, super-bendable cream truly provides perfect coverage that won’t crease or crack, and makes your skin appear supple, even and youthfully radiant! Bye Bye Redness Correcting Cream is rated 4.3 out of 5 by 327. Rated 2 out of 5 by Red 42 from Great product, terrible packaging! The cream is totally effective - I have sensitive/angry skin and it covers general redness and reduces most of the drama from rosacea flare ups (which seem to be triggered by 100 things!). A few drops covers my entire face and it lasts most of the day without touch ups or tons of powder. However, the pot doesn’t seal correctly, and product gets all over the place - it’s on the side of the jar every time I open it, in my makeup bag, gym bag, etc. It’s also ripe for contamination if you don’t wash your hands well before using it. I am keeping it in a ziploc until it runs out and won’t buy the pot again.... would buy it again in a heartbeat if it came in a tube!! Rated 4 out of 5 by Cindy in Phoenix from Definitely CAN be a foundation I've been using this for over a year as a foundation. I love the coverage, putting only a powder blusher and a powder finisher over it. I DO wish it came in a lighter shade. Looks fine on my face, but when my neck is not covered, there's a difference - and I hate to put make-up products on my neck (read: I will not do it!). Other than wishing for the lighter shade, I love this product & will continue to use it. Get lots of compliments on my skin - which is funny! (Because without this product, it's not so great!) Can't use a BB cream or the foundation because the sunscreen irritates my eyes. Rated 5 out of 5 by dzynzera from The best product so far !! I really like this cream because it's high pigmented and it covers the reddness very well, i use it along , ( the coverage is good enough , you don't really need to follow up with the fondation ,if you looking for more natural look . It's light formula , doesn't make your face cacky or greasy , you can just set it up with a powder and go. It only comes in a one tone ,so this is something to consider , but i like the fact that it king of blending in with your skin tone in 1-2min , so it looks bery nice and natural. Rated 4 out of 5 by PjShine from Love this product! (with one little caveat) I saw a YouTube video about this product and bought it in hopes that it would tone down the redness on my face. I wasn't too hopeful as so many products from other companies have let me down. Boy was I wrong! This product is my new everyday throw it on and go product! Thank you It! The one drawback is the product packaging. The product consistency is really not solid enough to be in a pot. The pot can get really messy in there and around edges. I have to be really careful when I open it and even then I get some on my fingers and on the outside of the container. If the packaging was improved this product would be perfect. Still, overall this product is great and I will keep buying it. Rated 4 out of 5 by dinawlove from Good product for redness and hyperpigment I like the product. Don't love it. But don't hate it. 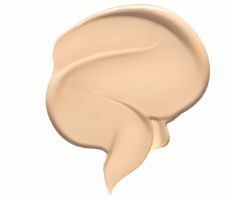 It does cover the redness on my skin and I can use it in lieu of foundation, but it's a bit dry and difficult to blend. Rated 2 out of 5 by JohannaC from Too dry... I was excited to try this product after watching many "First Impression" videos on YouTube. I, however, do not like it very much at all. I find it way very dry and fast drying. This makes it difficult to blend. I do notice that it helps take the red away, but it settles into my pores and into all of my fine lines that I have. I do not recommend this for anyone who has dry and aging skin. Also, when I received this product, it leaked all over the inside box. I at least lost about 10-15% of the product. That's not very nice considering how much it cost. Rated 5 out of 5 by Buckeye from Miracle in a jar I initially purchased this product for my husband. Yes, I said my husband. You see he has rosacea on his cheeks He does public speaking requiring him to always look his best. In the past he tried various products to treat the rosacea which always left him with dry, flaking skin. I told him that I found a new cream for his rosacea. I did not want to tell him that it was makeup because I knew that he would not use it. Bye Bye Redness completely covers his redness and it does not look like makeup. The key is to apply it minimally and blend well. I also use Bye Bye Redness to cover pimples. It is a fantastic product.